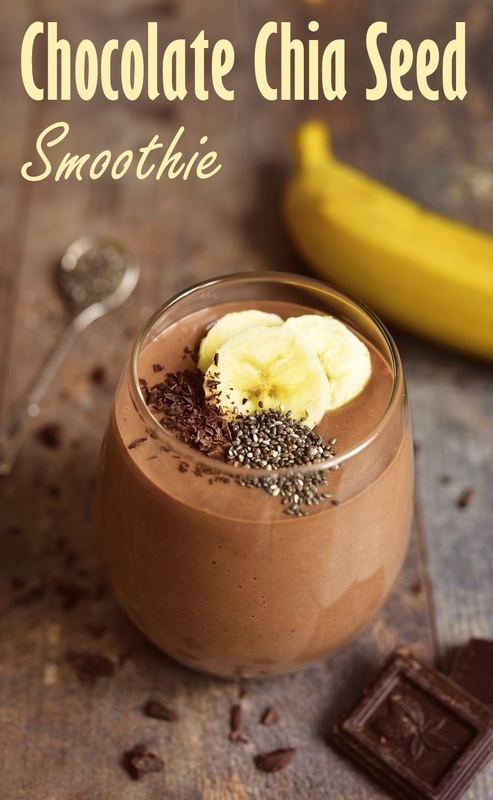 This Chocolate Chia Seed Smoothie recipe was originally shared with us by Natalie Melkowski. It was her official entry in a So Delicious Dairy Free Recipe Contest that we held many years ago. Today I’m re-sharing it with some slight modifications to make it friendly for all! Natalie called her original recipe a “Chiconutty” Smoothie for short. However, I’ve added some nut-free options, and swapped out some product recommendations based on what’s readily available on the market today. I love that this recipe has options for making it a Jamba Juice-style treat. 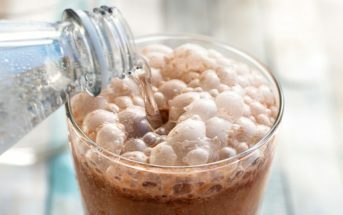 Those smoothie shop chains often add ice cream or sherbet to get crave-worthy results, but that makes them off limits for us! 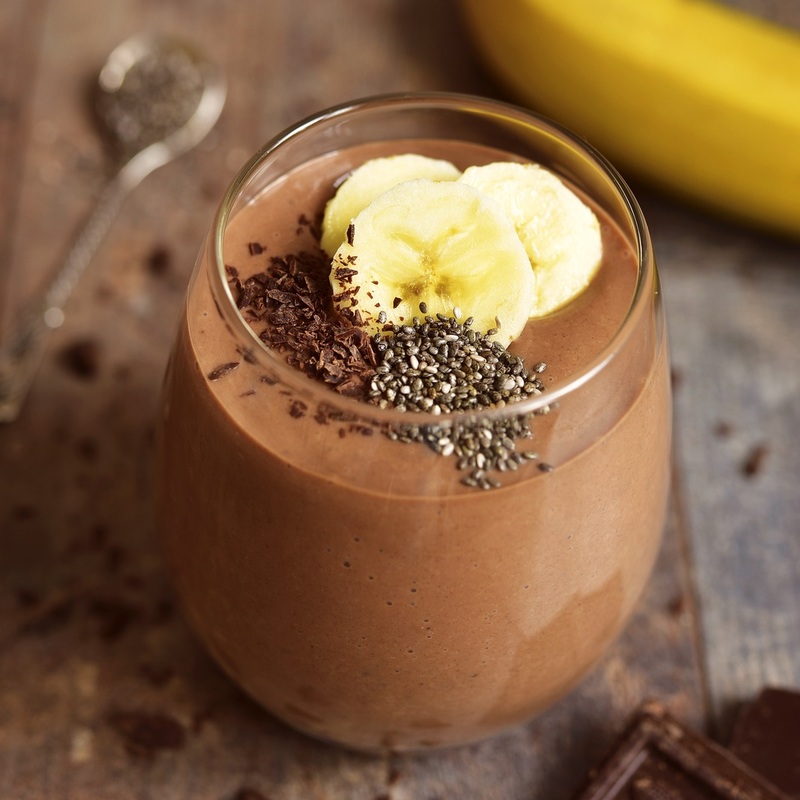 This chocolate chia seed smoothie lets you make your own slightly indulgent shake, if you wish. 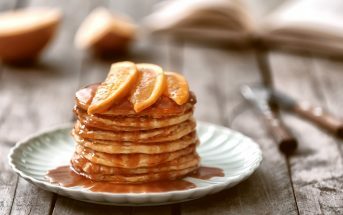 By ingredients, this recipe is dairy-free / non-dairy, egg-free, gluten-free, grain-free, optionally nut-free, optionally peanut-free, soy-free, vegan, and vegetarian. 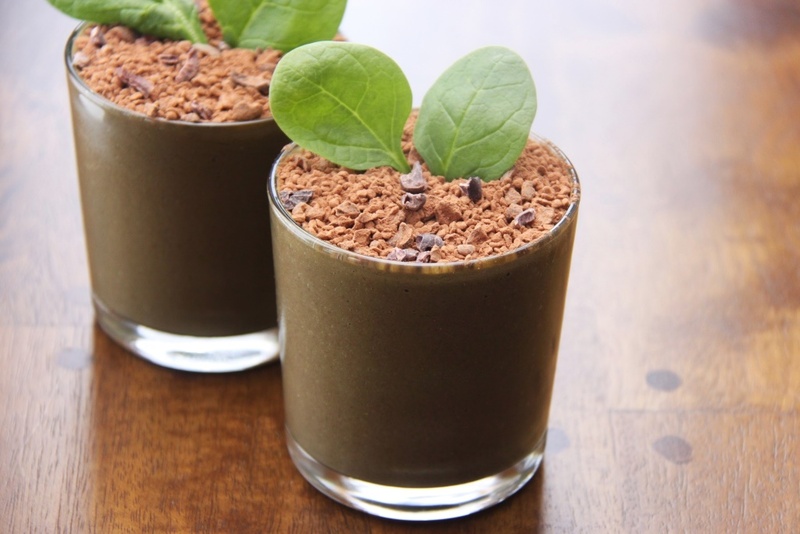 This vegan treat is great as a morning boost or night time snack. 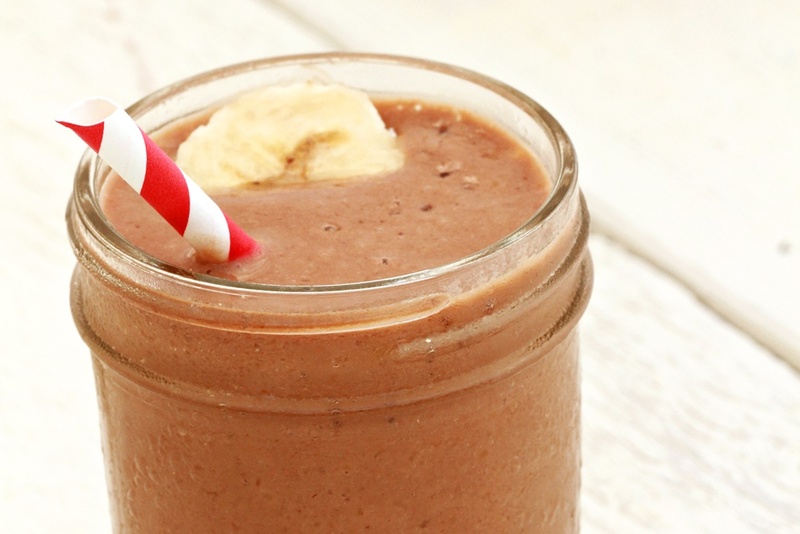 It’s packed with superfoods, antioxidants and protein, and tastes even better than a traditional chocolate shake! 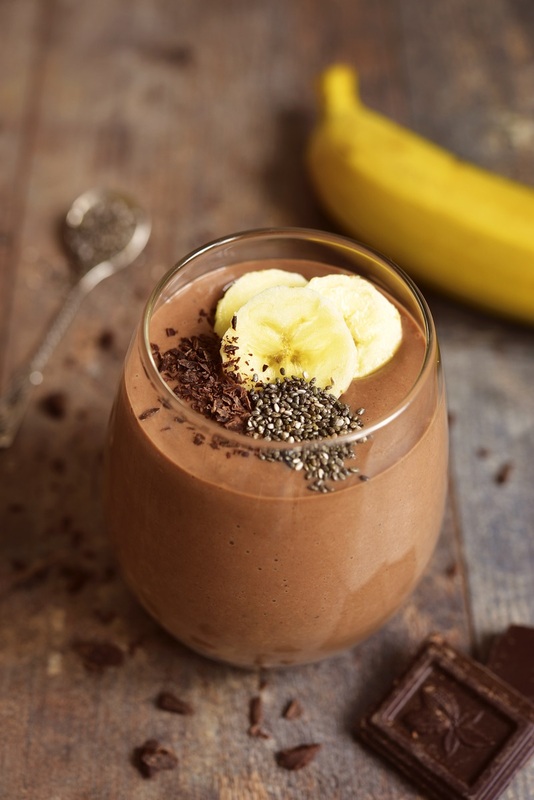 Place the milk beverage, creamer, banana, ice cream (if using), protein powder (if using), nut or seed butter, cocoa powder, chia seeds, and agave nectar in your blender. Blend until smooth and creamy, about 1 minute. Add the ice, pulse the blender to break it up, and then blend until smooth. 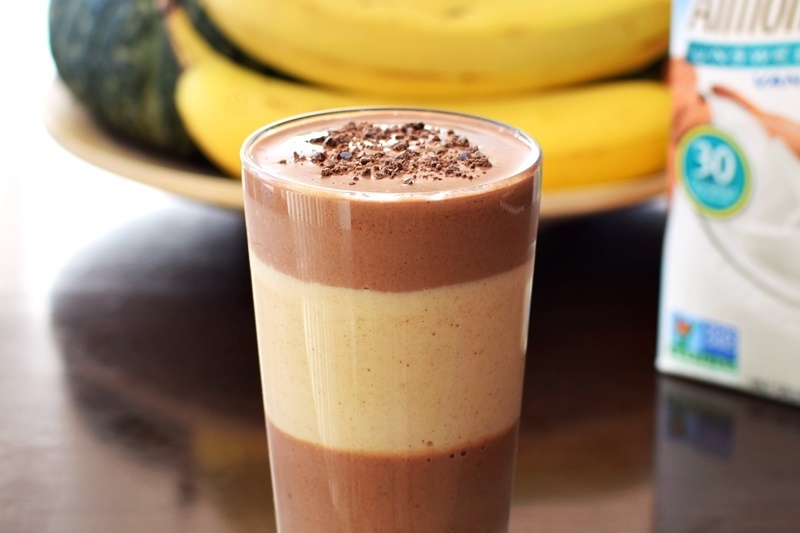 Pour the chocolate smoothie into a glass and enjoy! Lovely Natalie! I don’t recall the previous recipe, probably because I wasn’t a reader back then but I’ll be all over this tomorrow.